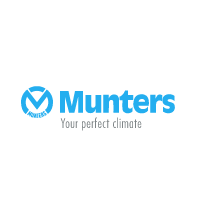 Munters is a global leader and premium partner in energy efficient air treatment solutions. Using innovative technologies, our expert engineers create the perfect climate for customers in a wide range of industries with the largest being the food, pharmaceutical and data center sectors. Munters has been defining the future of air treatment since 1955. Today, manufacturing and sales are carried out in 30 countries by around 3,500 employees. Munters reports annual net sales in the region of SEK 6 billion and is owned by Nordic Capital Fund VII.